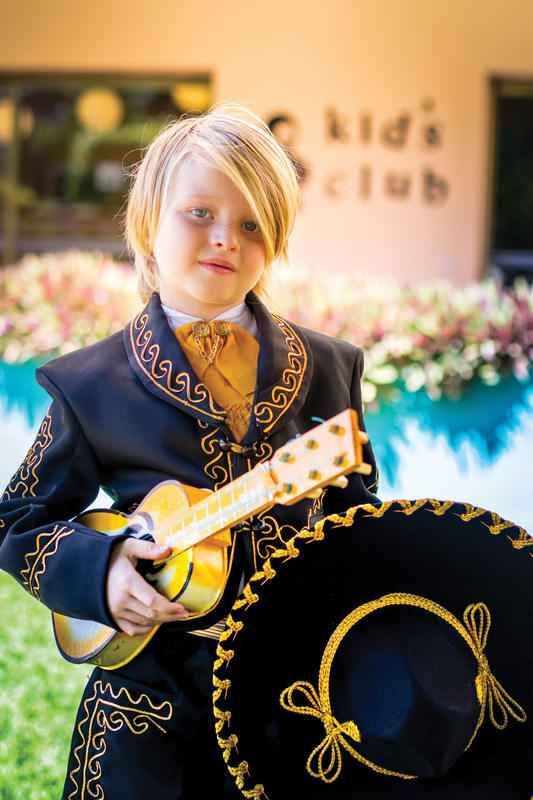 At Velas Vallarta, kids can play at being a mariachi. Mexico’s family-friendly hotel landscape mirrors kids playing in the playground—it’s rapidly moving and delightfully fascinating. Here’s the 4-1-1 on resorts that will undoubtedly be splashed across your clients’ Snapchat, Instagram and Facebook posts. Resorts are giving a giant welcoming hug to families with new digs for them to call home while vacationing oceanside. Barcelo Puerto Vallarta, surrounded by steep, jungle-covered hillsides and pristine beaches, for one, recently renovated its spacious Family Suites, which cover 732 sq. ft. and feature two bedrooms, each with its own bathroom. There’s a jam-packed activities schedule including watersports, beach volleyball, basketball, nightly theater shows and the Barcy kids’ club (for children aged 5 to 12). The expansion over at Marina Fiesta Resort & Spa, located in Los Cabos, includes a newly debuted kids’ club that runs from 9 a.m. to 4 p.m. It’s an indoor and outdoor space featuring a newly constructed water playground, as well as an array of activities for kids 4 to 11 including DIY crafts, film screenings, cultural and recreational programs, talent contests, sand castle building and supervised pool activities. 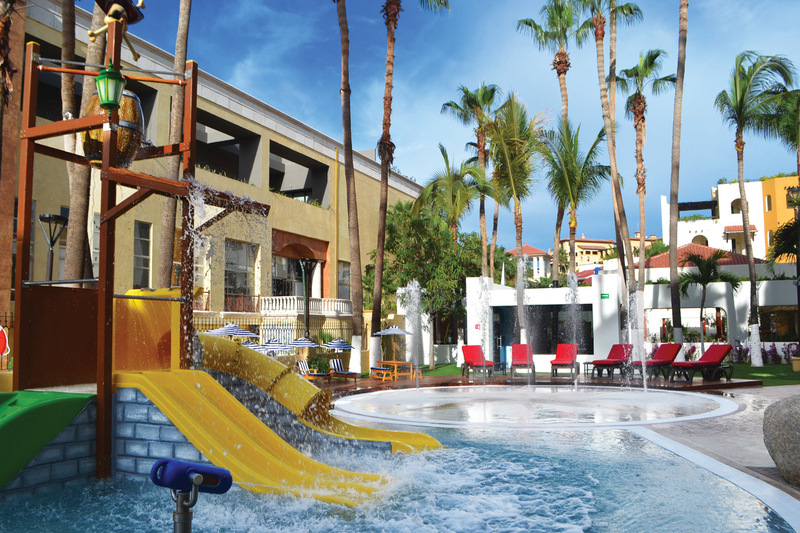 Water playground at Marina Fiesta Resort & Spa in Los Cabos. Club Med Cancun Yucatan, on Mexico’s Caribbean side, recently unveiled an expansion as well, with its Aguamarina family oasis area doubling in size from 60 to 120 rooms and offering new experiences. The expansion introduces oceanfront family rooms outfitted with upgraded safes that can be opened directly with the guests’ wristbands. Aguamarina also features a new dedicated reception area, concierge service, new La Marina bar with daily snacks and a dedicated kids menu, and a pool dedicated solely to families with water games, relaxing lounge areas and outdoor activities. be given guitar and maracas lessons from a local musician. One&Only Resorts has just launched a new villa campaign that includes playful, family-bonding activities. At One&Only Palmilla, set alongside the Sea of Cortez, families booking Villa Cortez or Villa One can expand their culinary knowledge with a private chef and learn more about Mexican delicacies native to Los Cabos, including fresh marlin tacos, ceviche and more. The resort also offers private art classes for families, an indoor glamping experience (kids only! 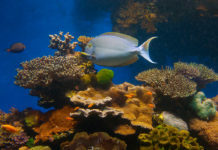 ), sea trek excursions, and snorkeling tours. 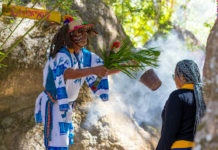 Vivo Resorts & Residences, located beachfront in Puerto Escondido, has added new voluntourism activities to its Oaxacan-inspired offerings that benefit the local community and natural landscape. A guest-favorite activity through the Vivo Foundation—an in-house organization that invests in environmental initiatives, construction projects, youth programs, orphanage donations and agricultural improvements in the area—is the Palmarito Sea Turtle Camp, through which guests nurture and release endangered baby sea turtles once they hatch. For travelers seeking to further immerse themselves in the Mexican lifestyle, Vivo also offers complimentary Spanish lessons teaching language skills and integrating education into the vacation experience. Kids who just can’t wait to get to the destination will have to be a little patient if you plan to book your family clients at the new Royalton Cancun or Planet Hollywood Beach Resort Cancun, both scheduled to open next year. First on the horizon is the Royalton property, opening in winter 2019 and featuring the Clubhouse Kids Club with curated daily activities and lively interactions with Royalton characters Max and Ruby. There’ll also be plenty of time to play beach volleyball or ping-pong, take a cooking or dance class, or participate in trivia competitions and watersports. The resort will feature seven restaurants, Royalton’s first rooftop SkyClub, three pools and 721-sq.-ft. family suites. Opening in spring, the 898-room Planet Hollywood will feature a central square, a sports area, a mini-golf course, a sky-zone with indoor trampolines, two tennis courts, an outdoor gym and two pools. The Stars Kids Club will feature educational experiences such as Planet Hollywood TV, Walk of Fame Scavenger Hunt, Starlets Hall of Fame Party and more.